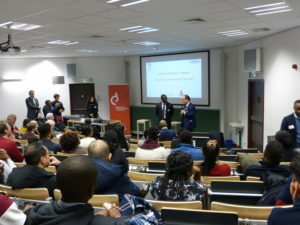 The Belgian-Chinese chamber of Commerce and the Africa Business Club – Brussels decided to bring the topic of the China-Africa partnership to the table and attempt to answer following questions: What are the challenges and opportunities for both sides? How can China’s presence be beneficial to Africa, and what can African countries bring to the cooperation? And what is the response of Europe? What are the main drivers of the success of this relationship? How is this relationship evolving? And last but not least, is this a win-win relationship?